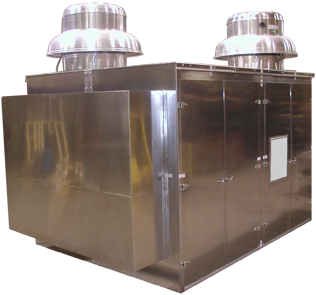 Founded in 1975, Pathfinder Systems is a leader in the manufacturing of industrial noise enclosures, silencers, inlet filters, check valves, and weighted relief valves. If you are looking for qualified acoustical engineering, proven noise abatement products, and a trusted company to provide sound advice, you have found your industrial silencing specialists! Insurance requirements and OSHA regulations require many companies to solve their in-plant noise problems. 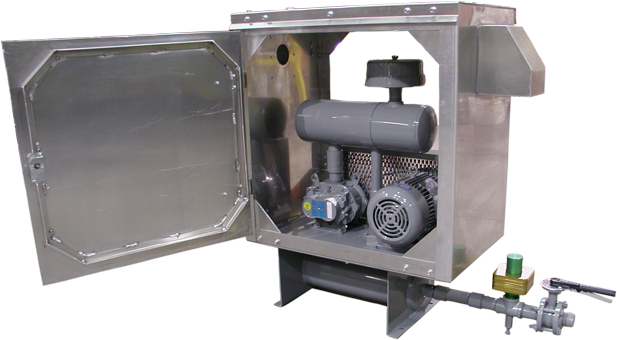 Sound Enclosures provide a cost effective solution to reduce noise generated from industrial and mechanical equipment such as blower packages, compressors, fans. We can enclose just about anything! 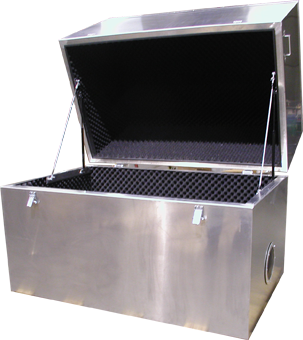 Don’t succumb to a fab-shop quality enclosure that will burn up your equipment. We are committed to quality products, service, engineering and competitive pricing. Custom design process ensures you only pay for what you need. Ask a Pathfinder salesperson about our amazing Dragonskin foam option for applications that demand attention to strict fire regulations or specifications. Also, research has revealed that Dragonskin coating improves sound attenuation and may be applied to 2", 3" or 4" thick solid foam. 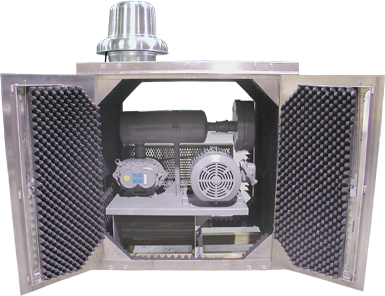 Pathfinder Systems is your source for all types of silencers: chambered, absorptive, engine, and inlet filter silencers. Don’t forget the elements! We stock our weighted relief valves for immediate shipping. Pressure or Vacuum is available in 2”, 3” and 4” NPT, 1-29 PSIG, 2-30″Hg. Our aluminum check valve is stocked in 3” to 10” sizes. 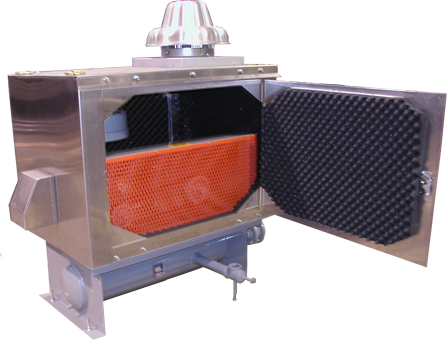 The wafer design uses Teflon seats and bushing. Mount between 150# flanges.